It’s a new day at Sheer Strength as we are introducing our Sheer Strength Platinum Series! We have always prided ourselves on producing the most researched-backed, science-based sports nutrition products available. That is why you have made us the #1 fitness supplement brand on Amazon.com. How could we improve upon a line of products that was already the best in the industry? Sure, we already had the best supplements, but if we started over from scratch, could we do even better? we are proud to introduce the Sheer Strength Platinum Series! Sheer Strength Platinum Series is a line of supplement powders that taste great and are clinically dosed for their intended results. Want more testosterone, so that you put on muscle easier and shed fat faster? Sheer Alpha+ is clinically dosed with ingredients that are science-backed to give you great results. Want the best workouts of your life? Sheer Pre-X is the pre workout to ruin all other pre workouts. One scoop of it holds the key to a bigger kick than you have ever experienced. 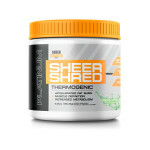 And finally… we’ve formulated the most powerful powdered fat burner in Sheer Shred. 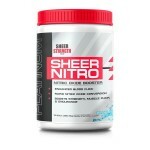 The Sheer Strength Platinum Series can be found on Sheerstrengthlabs.com, Amazon.com and it will be available in retail stores around the country later this year! 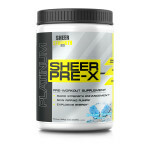 Now for a LIMITED TIME ONLY try one or all four items from the Sheer Strength Platinum Series 15% off at sheerstrengthlabs.com only! Simply click the item of your choice below and enter discount code SheerPlatinum15. The post Introducing The Sheer Strength Platinum Series appeared first on .